When purchasing new garage doors, a number of considerations must be undertaken in order to avoid potential pitfalls when it comes to either installing the door or further down the line servicing the garage doors. Many retailers offer garage doors in a wide range of options. Take time to consider the requirements of the door and look at what each manufacturer can offer not only in terms of designs, but in terms of warranties, backup technical assistance, ease of getting spare parts etc. Remember, when it comes to price, although 2 garage doors may appear identical in advertising literature, they can vary massively in terms of the quality of the end product. If you are intending on purchasing up and over garage doors, then the process is simple. Either measure the overall structural opening in mm if the garage door will require a new frame or measure the internal frame dimensions if you are only planning on replacing the actual garage door. For doors such as sectional garage doors or roller garage doors, these fit the back of the brickwork. Therefore, some further dimensions are required. Dimensions will need to be taken to ascertain the side room and headroom available to install the door roll and guides. Remember that all manufacturers garage door requirements will vary slightly so before setting your heart on a particular door ensure it is suitable for your particular application to avoid costly mistakes. Correctly installing the garage doors will avoid potential safety issues. Garage doors and roller garage doors are heavy. Therefore, it is essential that the manufacturers fitting instructions are followed to the letter. Failing to stick to the rules may result in a door that is not safe to operate, may wear out faster than a properly installed garage door and also may void warranties. If you do not feel confident installing the door, then many garage door installers will be more than happy to professionally install the door for a modest fee. A list of approved installers can be found through the Door & Hardware Federation. 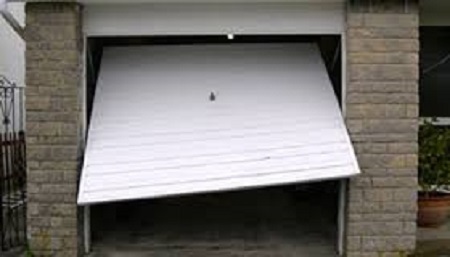 To keep the door operating safely and smoothly, garage doors will require regular maintenance. By rectifying potential problems at an early stage, injury can be prevented. Maintenance schedules are available from the manufacturer but are generally every 12 – 18 months. Be the first to comment on "Avoiding Problem Garage Doors"